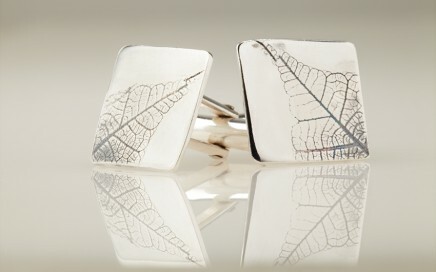 A pair of polished recycled silver cufflinks embellished with a delicate oxidised leaf pattern. 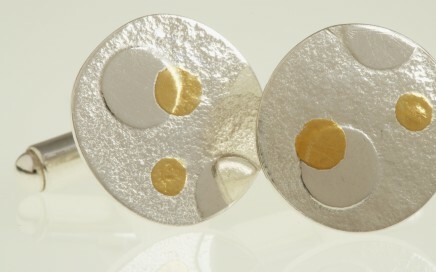 Textured elliptical cufflinks made from recycled silver. 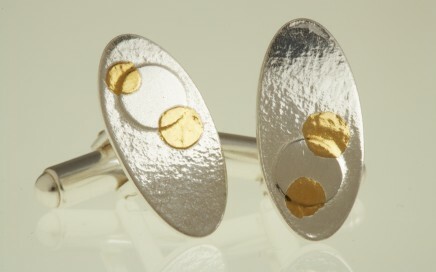 Smooth mirrored drops of recycled silver and 24 carat ethical gold are fused to the surface to symbolising the sun and the moon. 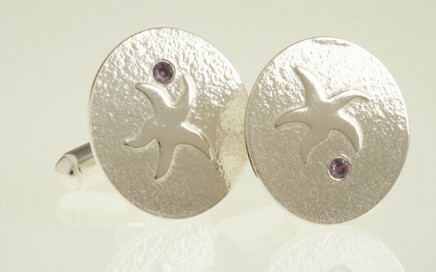 Recycled silver cufflinks with an embossed starfish lying on a circular surface with a texture resembling the sand. 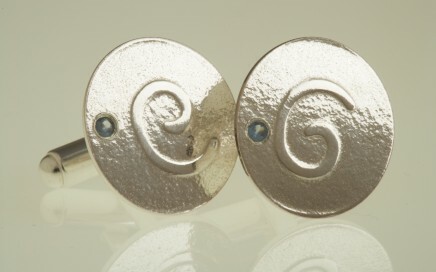 A cubic zirconia of your choice is flush set adjacent to the starfish. 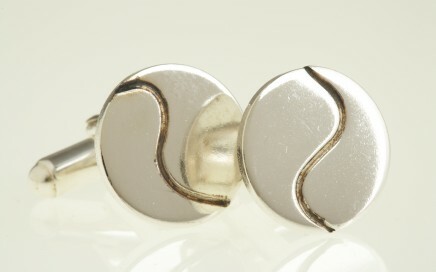 Polished smooth circular surface with a slightly intented silver oxidised wave crossing the recycled silver circle cufflink face. 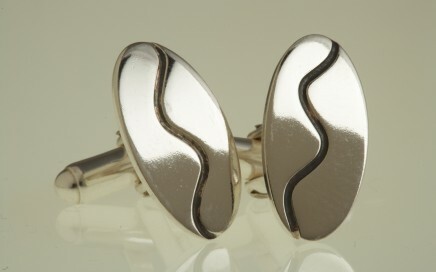 Polished smooth oval surface with an imprinted silver oxidised wave crossing the recycled silver oval cufflink face. 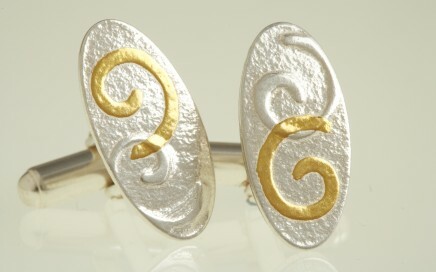 Textured recycled silver oval face with an embossed recycled silver and 24 carat ethical gold fused swirl.